I've driven I-70 from one end of Kansas to the other a handful of times and you don't start getting a western feel until somewhere between Salina and Hays. KC is transitional to me. Wouldn't that be the Plains? Why should it start in Eastern Kansas? The urban core of KC,MO and the Missouri side suburbs are Midwestern, so in general , the city is Midwestern. However, it's almost like the transition to Western starts to happen in the KC area because the Kansas side suburbs have more of a Western feel, especially the outer suburban areas, more like suburban Denver, Phoenix etc. Look at a map though. Most people don't realize that KC is considerably closer to the east coast than the West coast. When you say it is like Denver and Phoenix is it because of the type of sprawl and housing that covers a large area of the metro? Basically, that and the topography. While Denver, Phoenix etc are close to mountains etc, much of the built up suburban parts of the metros are in very flat areas with few trees. They also have very wide and straight suburban street networks with dual and triple turn lanes, wide grassy medians etc. This is very similar to the SW suburbs of KC. The MO side suburbs are more like what you see east of the KC area (St Louis and beyond) or around the DC area etc. More wooded areas, much more varied and more rough terrain, so roads are rarely straight for long stretches and don't have near the right of way or width. More trees, more bridges due to more rivers, bluffs, flood plains, parks and land that just can't be built on. Kansas side homes often have more stucco which is more Western than the MO side which is more brick or siding. There is a very different feel in south Overland Park (KS) vs northern Lees' Summit (MO). Or Olathe (KS) vs Parkville (MO). They feel like they could be 600 miles apart. Central KCMO however is very midwestern. Historically very urban and dense, built around streetcar and cable cars and peaked in the 1920's and 1930's. Some of these responses are just incredibly bizarre, IMO. Kansas City is definitely Midwestern. It's on the Western part of the Midwest, yes, but it's solidly Midwestern and nothing else. Outer lying suburbs are definitely also Midwestern (as someone said, Kansas city is on the Eastern Half of the country anyway, and not even barely - solidly.) Those suburbs literally have nothing in common with the suburbs of Phoenix or Denver other than the fact that they have suburban sprawl, but nowadays nearly every single big city has suburbs that have suburban sprawl, so that comparison I don't think holds any water. 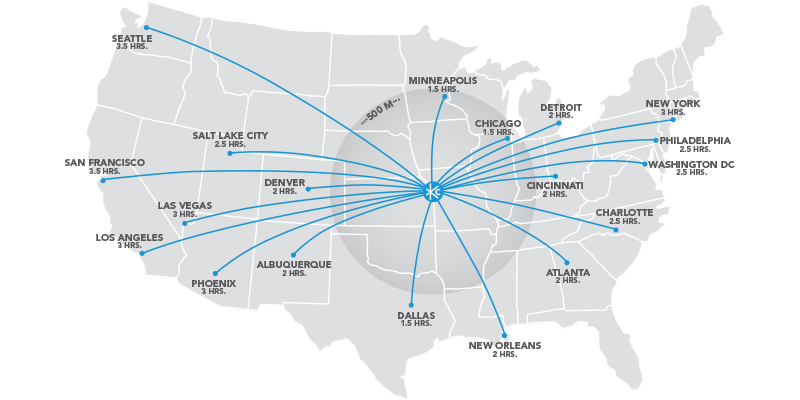 Kansas City greatly fits in with the solid Midwestern pack of medium size metros like St. Louis, Minneapolis, Milwaukee, Cleveland, Columbus, Indianapolis, and Cincinnati. All of them are unique, but they all feel like they are in the Midwest. The only city that I consider to be a "transitional" city into the West is Denver. I consider cities and counties in the "Plains" area to be much closer to Midwestern than Western, with their own unique culture and feel. I think the BBQ and emphasized presence of beef in local food (KC used to be a major stockyard/meatpacking center, which apart from its presence in Chicago was considered a very "Western" industry) gives the city a Western flair that you don't see in other Midwestern cities, sans Omaha. You do know that KC BBQ came from the South, right? From Blacks in the South. That is very much a non-Western trait. Also, what about pork in Cincinnati? How Western is that? Western, historically it was a the northern end of the cattle drives. Ranching is western, Farming is eastern. Missouri River really isn't navigable at KC most other major inland Eastern Cities cities are on navigable rivers or the Great Lakes (Buffalo, Detriot, Cincinnati, St Louis, Memphis, Chicago, St Paul). There are a few newer boom towns not on navigable water bodies like Atlanta or Charlotte, but no historically major cities. Most western cities Denver, Dallas, Des Moines, Omaha, Phoenix are not on water. It's really distinctly different.